Like long lost lovers, the rain meets the Arabian Sea, the waves swell with happiness and yet seem to be at peace after the unison. Goa is a sight to reckon during monsoon. 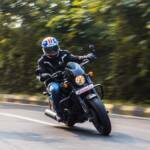 Famous for letting loose and a carefree lifestyle, Goa also has a number of monsoon activities for the adrenaline junkies out there. There are a number of activities ranging from kayaking, snorkeling, Jetlev and also a party cruise for all those party lovers out there. 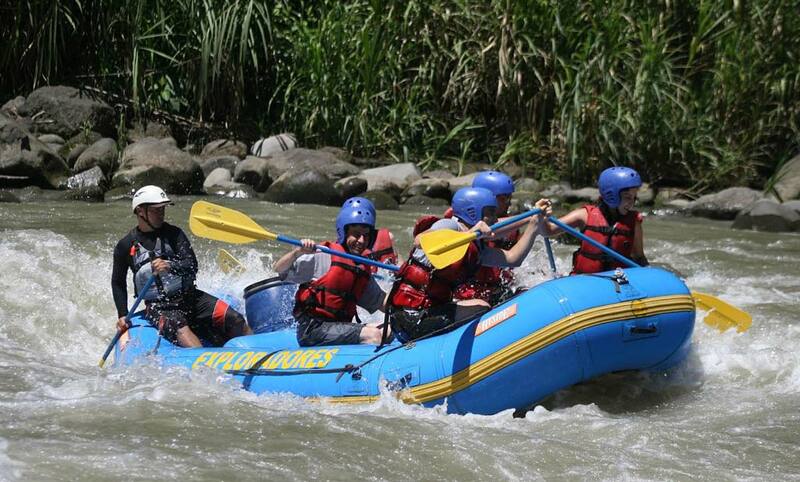 While Rafting is synonymous with the Indus and the Ganga with a breathtaking view of the mountains, rafting in Goa on the Mahadayi River amidst the Mhadei wildlife sanctuary can be the one to remember. 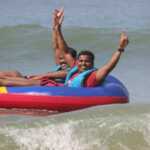 With the rains making its presence felt, the rafting in Goa can be an experience extravaganza. 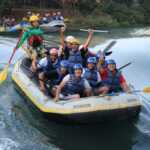 The Mahadayi River at Volpai offers the best rafting experience in Goa. There are also a number of restaurants on its bank to satiate your hunger with sumptuous Goan cuisine after an exhilarating rafting trip. During the monsoon between July and September. Two trips are offered every day, one at 10 am and the other at 3 pm. One has to report half an hour before the said time. The entire trip is for about 2-3 hours, which will leave you completely satisfied and strangely at peace after the tumultuous trip on the waters. Everyone taking the trip are provided with a life jacket and an oar each. One is advised to wear swimsuits, t-shirts and short and shoes. 12 years and above only. It’s priced between Rs 1800-Rs 2700 per person. 50% of the amount is refunded if cancelled 48 hours in advance. Anything less than 48 hours and there is no refund. One can book through different travel agents or through the Earthen pot restaurant in Volpai. Located on the Western Ghats between Bhagawan Mahaveer sanctuary and Mollem national park, Dudhsagar is a spectacular sight during the monsoon. The road to the falls is not an easy one. One has to take a train to Londa Junction. From there, it’s a 3hr journey to Kulem by car, bus or train. One can take the scenic trek to Dudhsagar from Kulem or take a jeep through the muddy trails. 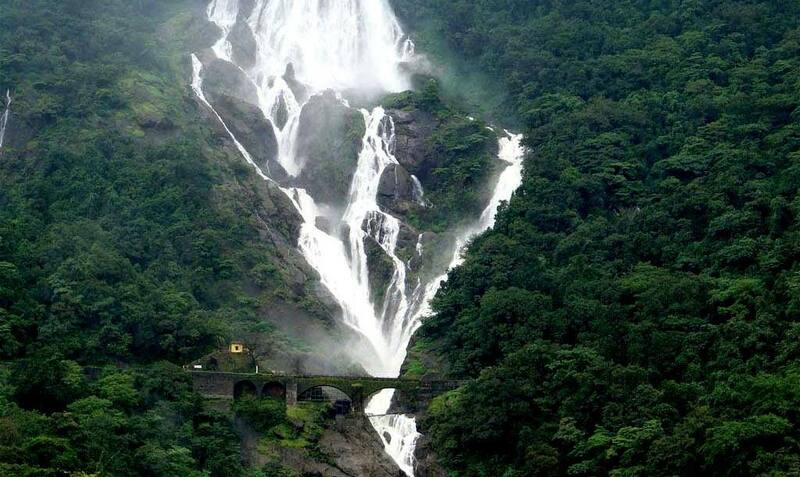 From October to May when you can witness the majestic falls in all its grandeur. A visit to Dudhsagar might take more than half a day. Make sure to avail the life jackets for swimming at the base of the waterfalls. All age group can visit. It would cost anywhere between Rs 2500 – Rs 3500 per person. Booking and cancellation fees vary depending on the policies of the travel agent. A gentle ride through the quiet backwaters of Mandovi in catamaran style surrounded by the scenic Ribandar and Chorao islands, the rain hitting the waters as if to evoke the hidden music within, this cruise ride through backwaters instils peace. While you are at it, you can either sit on the top deck and enjoy the rain or sit below and try your hand at fishing. 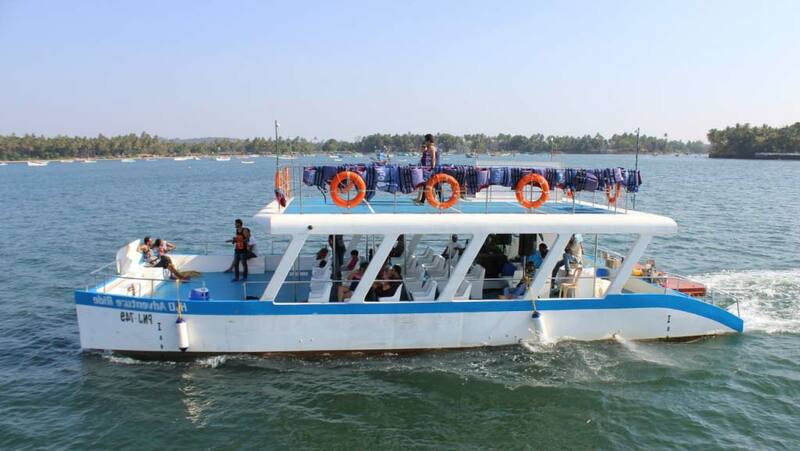 The reporting location for the cruise is Narvekar Jetty, Britona Goa. There are many buses plying to the location. You can also take your private transport or avail their pick up and drop facility. Two trips are offered every day, one at 10:00 am and the other at 2:30 pm. One has to report half an hour before the said time. Each trip is for 3 hrs. Starts from Rs 1800 per person. Enthralled already? Book your trip to Goa and enjoy its charms in Monsoon with romantic rains! We Accept all major credit cards, All bank Debit Card, Net Banking, BHIM App, Wallet option available.